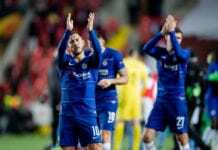 Chelsea striker Olivier Giroud reflects on his recent goalscoring run after scoring a brace in their 4-0 Europa League win on Thursday. 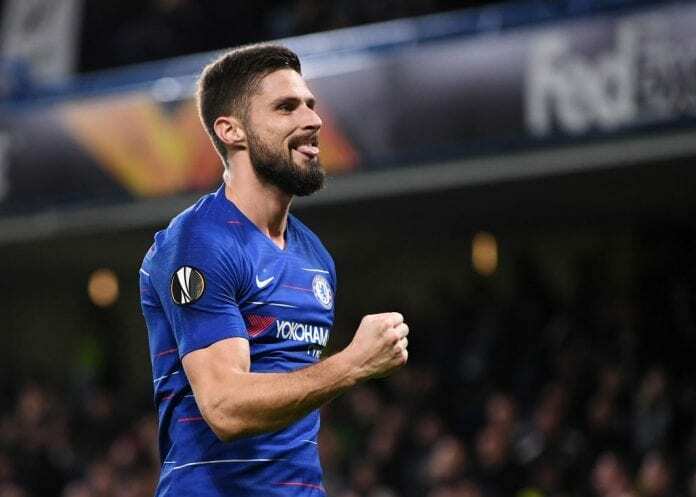 Giroud has scored four goals in his last three appearances for Chelsea and was disappointed to be subbed in their 4-0 win against PAOK in the Europa League, as he had hoped to hit a hattrick. 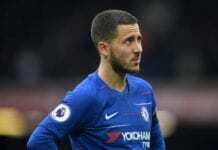 The Frenchman scored Chelsea’s only goal in their 3-1 embarrassing defeat at Wembley last weekend and was happy for the club to get back to winning ways. “Yes, that was the main target,” Giroud told the club’s website when asked about the importance of bouncing back from their defeat at Tottenham. “We needed a strong team reaction and we did that well. I’m really happy with the team cohesion, team spirit and now we can start some new momentum. “I’ve scored goals in the past but it’s true that I was waiting for more chances, and a bit more luck, in front of goal. I’ve been working hard and training for that. “I love that ball in behind the defense and Cesc knows how to give it in a good tempo and rhythm. Alvaro Morata came on in the 74th minute to replace Giroud who was visibly disappointed to be leaving the pitch without scoring his third goal. “I was waiting for an opportunity to score the third one but obviously for a striker, it’s massive to score goals,” he said. “From the beginning of the season I assisted my team-mates a few times, I like to set up goals as well, but there is nothing better than scoring goals for a striker. Now I need to keep going and keep that momentum. “When the manager puts me in the starting 11, or even when I come off the bench, I always try to bring something to the team and play my part. “I received great balls so I feel good. Sometimes as a striker when you’re struggling to score, the goal seems a bit smaller, so you need a bit of luck for the confidence.